In troubling times, music provides inspiration like nothing else. GIA is proud to offer these two hymns for download free of charge. Please feel free to use these powerful hymns in your worship through November 1, 2017. We’ve also compiled a short list of other appropriate songs for use in your worship. 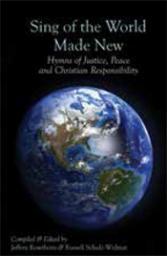 In addition to the songs listed below, each GIA hymnal has sections on justice, unity, freedom, and peace.